Model steam engines are manufactured according to a variety of scales and gauges. 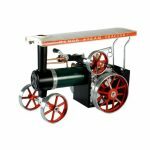 The choice of scale and gauge is crucial as they are the major differentiating factors between the model steam engines. What makes things more confusing is that many model steam engine enthusiasts, and even seasoned fans, often use the two words ‘scale’ and ‘gauge’ interchangeably. However, they are two distinct attributes. For starters, scale establishes the size relationship between the model engine and the real one. It is often represented as a ratio, such as 2mm:ft or 1:148 scale. This means that every part of the model engine is one-one forty eighth the size of the original steam engine. On the other hand, gauge is an attribute of the railway track. 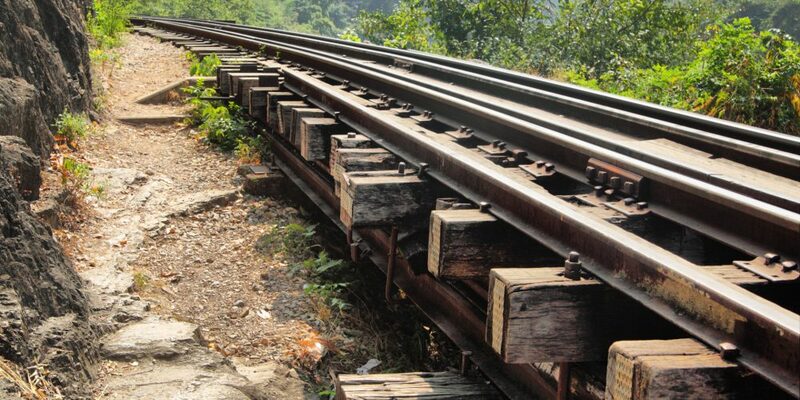 It is the distance between the inner edges of the track rails. Gauge is a more important attribute to consider, when purchasing a model steam engine. Let us understand why by looking at the main gauge types. O Gauge model engines were produced from the beginning of the 20th century, and were among the most popular models for a long time, until the 1960s. Since then, they have lost their popularity and are difficult to find. They were manufactured in multiple scales from 1:1.48 to 1:43.5. But, they eventually lost their fame to smaller scale models. O Gauge model steam engines are not known for their finer details and accuracy. In fact, they were designed for pre-adults and therefore, cost-effectiveness, and durability were given more importance. Although they are valued by some collectors because of their rarity, most of the collectors and enthusiasts, with an attention to detail, do not prefer these models. OO Gauge or Double-O Gauge model steam engines belong to a family of model railway systems, which follow the standard gauge model. The OO Gauge has a railway track that is 16.5mm wide, and is built at a scale of 1:76.2 or 4mm:ft. A highlight of OO Gauge models is that they rank very high in terms of realistic appearance and finer details. For this reason, they are of great value to serious collectors. Moreover, many of the manufacturers also place a lot of emphasis on durability and affordability. Naturally, they are among the most popular model steam engine categories today. G Gauge models are big in size. They are manufactured on a scale range of 1:22.5. Because of their relatively huge size and highly durable construction, they make the best garden railway models. Their extensive use as garden models have led to modern train enthusiasts to believe that the G in G Gauge stands for Garden. The truth is that the G comes from groß, which means “big” in German. Oh yes, the G Gauge models were born in Germany, just like many others. A large scale means that the parts are not as intricate as the other models, say O Gauge for instance. Therefore, they are easy to produce and are readily available. 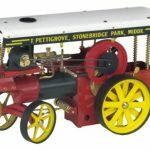 As you can see, the choice of gauge will be quite obvious to you based on the purpose of your purchase of a model steam engine. If you want a garden mode, then G Gauge is what you need. If you are a collector who enjoys the finer details, then OO Gauge is what does the job for you. However, if you are buying a model engine for your kid, then O gauge is just the thing.